Cosmetics when you're on a budget. Review. Would be nice to be rich, would it not? This is going to be a very long blog post, pardon me! I am sure we all would love to be rich at some point in our lives. Sadly, not every one of us can do it. For example me. I am working full-time, getting paid good money, yet, I can't tell you I am rich. I am just as simple as everyone else, getting paid, spending money on a daily basis, and waiting for another payday. However, we women always want to treat our selves, buy some clothes or cosmetics. 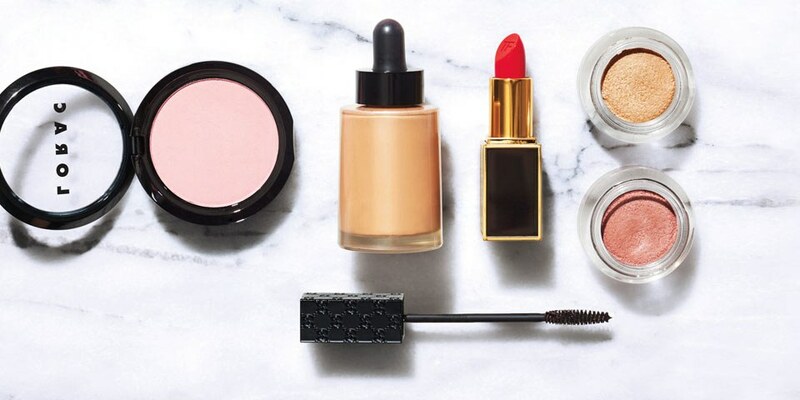 But we also know, that for example, cosmetics can be pretty pricey depending on the brand. And somehow, we all have that kind of a ''rule'' in our heads, that if cosmetics are cheap - they must be bad quality. But it's not true. I can't afford expensive stuff all the time, so I have to go with a budget one, and I never had any problems with any of my daily used cosmetics. 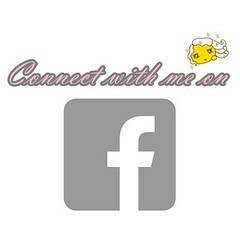 So today I want to share them with you, and maybe you'll find something you might like and buy at an affordable price. Please note, all of the items were purchased in the United Kingdom so that rates may differ depending on your country. However, it shouldn't be much of a difference! So first of all, this amazing mascara. 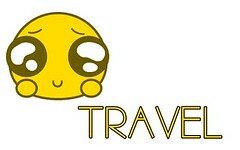 It's my favorite one. I've got a couple of different ones I am about to show later as well, but THIS one is my number one for a long, long time now. It makes your eyelashes look so long, and also it doesn't stick them together and is easily washable with any of eye makeup removal. Just be careful not to cry with it, because it's not a waterproof one. You can get either get it online for example here , or in any store that sells Maybelline NY cosmetics. Price in stores is a little bit higher, but it varies from £5.98 to £9 never seen it be any more expensive. 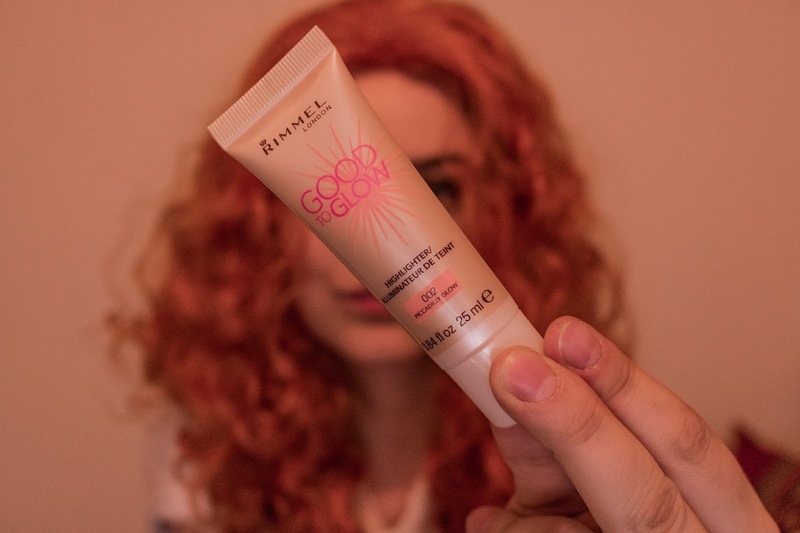 The second thing I used to use a lot, but stopped because I am horrible at using it is Rimmel liquid highlighter ''Good to Glow''. I am better of using pressed powder type highlighters instead, but this one is super cool and long-lasting if you know how to use liquid highlighters. The shade I use is 002 Picadilly glow, and it's more of a pinkish color, but blends very well on your face, so highly recommended. I can't find it in shops anymore, as I think it might be removed from sales now at least in boots.co.uk page, but I am sure you can still find it online for as low as £1.90-£3.50. If You're planning to get it, look up here. The 3rd product I love and use all the time, but sadly it's going to an end is my favorite MAC foundation ''Studio Sculpt SPF15'' lightest shade possible I guess, but I am so pale that even this one looks a bit dark on my skin, eh! It's super blendable, you only need a small drop for your whole face, and it looks excellent on your skin. Is it good coverage? Well, I've got loads of birthmarks on my face, so from how much it covers it, I could say that coverage is about 6/10. 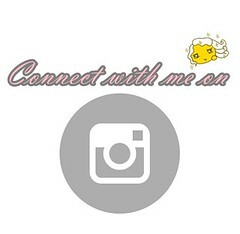 You can find it in any store that sells MAC cosmetics, or online here. Please be careful if you'll be buying it online from pages like eBay or similar, there is a lot of counterfeit MAC cosmetics flying around internet sales, always choose trustworthy page or seller which can prove you that it's an authentic product. Do not joke with putting fake products on your skin, especially if you're allergic to something. Price is about £30, but it lasts for a long time. I've got mine for almost 4 or 5 months now, and there is still some left. Next one is my Collection eyebrow kit. My eyebrows are genuinely dark, but it doesn't have an excellent shape without a little touch of makeup. I bought this kit because it had colors matching my nature eyebrow color + eyebrow gel was included in the package for free. Honestly, I didn't have big hopes for it, because I've never used it before, I was always eyebrow pencil slave. But it's so cool, and colors are pigmented 10/10. First time I opened it I used black shade because of my dark eyebrows, and oh god, never again haha. Have to use the lightest one of the kit ''Brunette'' because of how pigmented they are. You also get a little brush in the kit, but I have my big one, so I never really used it. 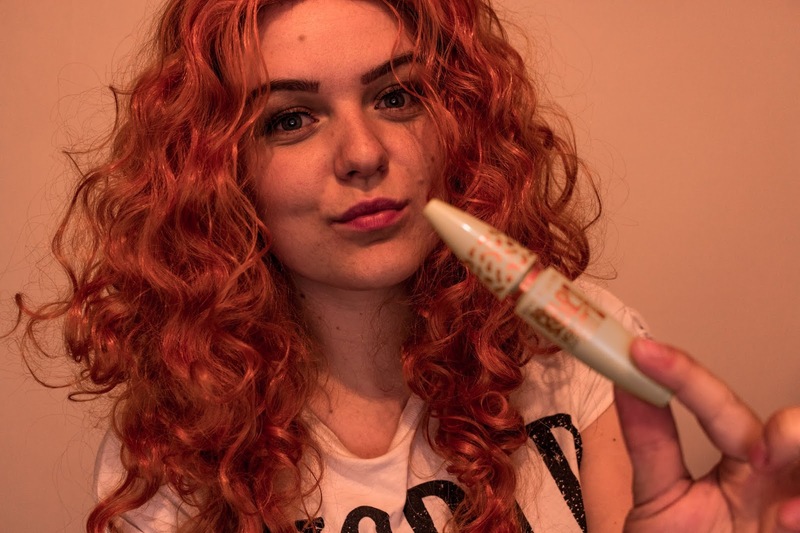 You can find it in stores like Boots or Asda or can get it online for as low as £3.99 in Superdrug website. The kit lasts for a long time because the pans are deep, so there's a lot of powder to use. Another makeup product I now use daily is bronzing powder from MaxFactor. I never used any highlighters/bronzers or blushes until this year, guess we all learn something new each year don't we. My first tries were absolute cr*p, but I am getting better, and this bronzing powder is doing an excellent job for me. There is a lot of it in a pan, and it's pigmented, so you don't have to jiggle your brush into a pot for a long time, twist it few times and you have enough powder on your brush for one cheek. There are two different shades you can choose from 01 - golden and 02 - bronze. I am using the second one because it's slightly darker and gives a better glow for your face. You can find it in stores or online for the reasonably same price which is about £4. If you plan on getting it online, there's a link here. I couldn't find it on an official page, so might be that they are not selling it anymore on there. As I mentioned before, I stopped using my liquid highlighter because I found a perfect pressed powder one. It's W7 Glowcomotion. It can either be used as a shimmer, highlighter or eyeshadow; it's all up to you. You kind of get three items for a price of one. It's not as pigmented as I hoped it to be, but if you press your brush or finger a little stronger into the pan, it still does the job. The price is only from £2.90 to £4, so it's worth a try for sure. 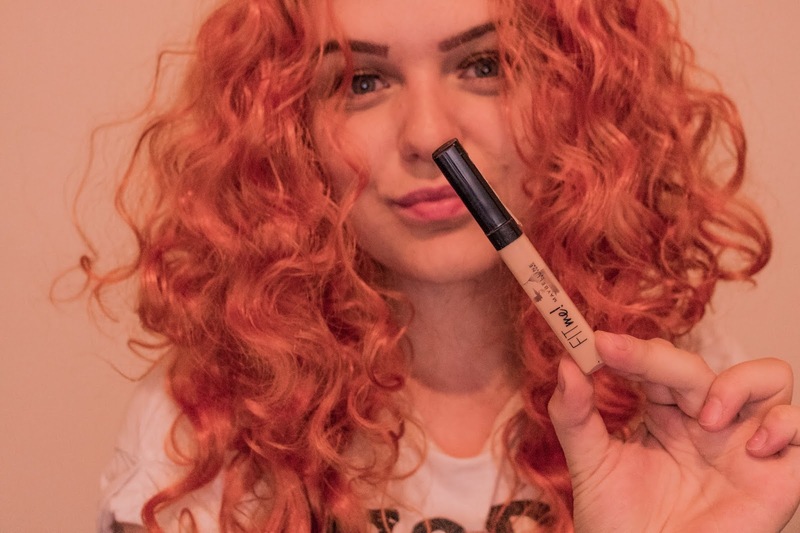 Another eyebrow product I use is the one I've got for my birthday. It's not a ''budget'' item, but I just wanted to share it because of how good it is, and I can't hide it when I am talking about my cosmetics. 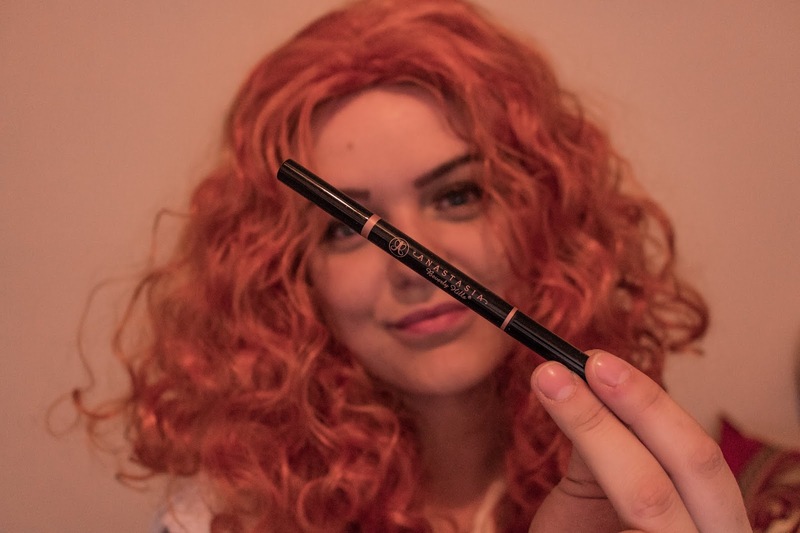 It's Anastasia Beverly Hills eyebrow definer in dark brown. It comes double sided: pencil in one and a brush in another. They have like 5 or more different shades so anyone can find a perfect fit. The price as for a pencil is high, about £24, but it's pigmented and not oily at all, so your eyebrows will be looking good. Because of its high price, I highly suggest you figure out what exact color you need before ordering it online. Doubt you can get it anywhere in store in the United Kingdom, but if you want to try and get it online, there's a link to an official website of ABH. I was looking for a setting spray and a primer for a long time but never wanted to spend lots of money as its only the beginning for me of using anything like this. 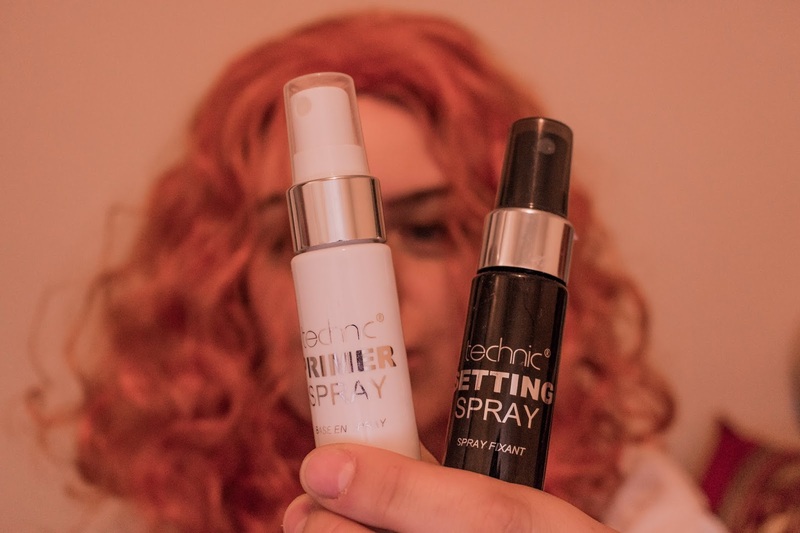 I got lucky to find a deal on eBay of Technic primer and setting sprays bundle for just £2! Yes, ladies, it's like £1 each. 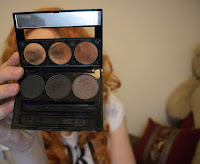 And I have been using Technic cosmetics before so I knew I wouldn't be disappointed. And I wasn't, and it does the job just like any other setting or primer spray. You can get it online here; however, the price now is almost £5 because I assume the deal of £2 is over. 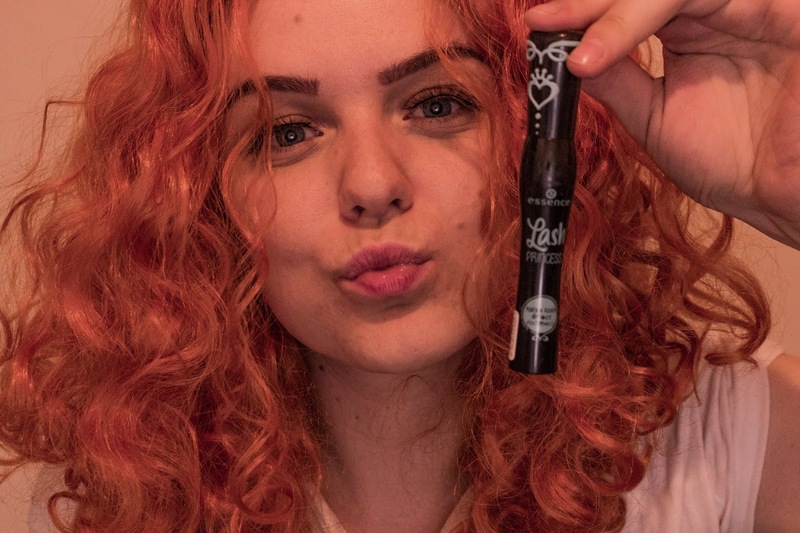 If you want to get something similar to this in stores, you can try and go to Asda, and get a 1in2 make up fixing spray from Collection, it's about £3 or £4, but it's also good, tastes very bad if you manage to get it on your lips. I think you might have noticed from my pictures that I do have awful bags under eyes, and they are all blue and tired all the time. For this reason, I use concealer FitMe from Maybelline. Its coverage is perfect, after applying it on my face it looks like I never even had those bags under my eyes. I think I've chosen a shade darker than I should, but it's all fixable, so I am not worrying. I bought it in Asda, but you can also get it online from here. Price is bit higher, but you can choose from many shades, so I am sure you will manage to find yours. Sadly, it doesn't last for a long time, so you might need to get another one after a month or so if you decide to use it daily. 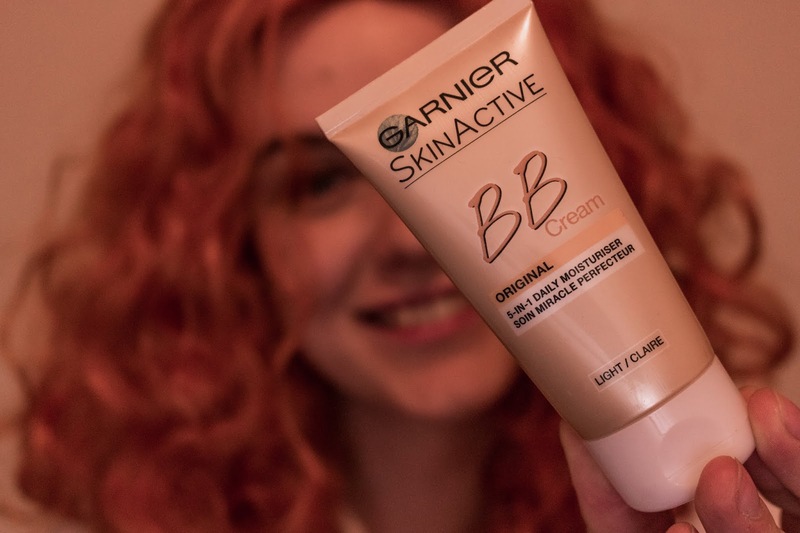 When I am tired of using actual foundation, I move onto Garnier Skinactive BB cream. Using lightest shade possible Light/Claire fits my pale face 10/10. It's like a, but it has 5in1 daily moisturizer, so wearing it you're not only looking better but helping your skin as well. You can get it in boots for £5, or online for the same price here. I don't suggest on using it daily, because it's hardly blendable so if you want to look natural, it's not going to happen with this foundation. I only use it on days when I am not going to have any meetings with a lot of people, just to let my skin have some rest. 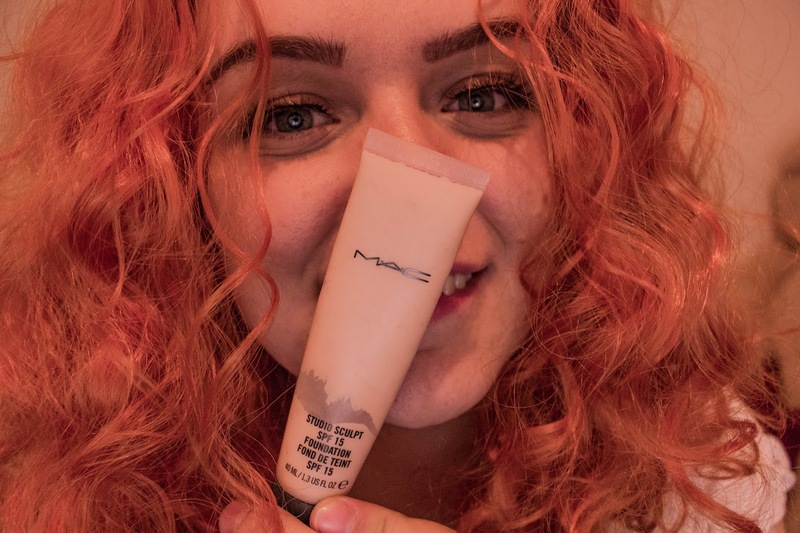 This is another foundation I use when I am using my MAC. 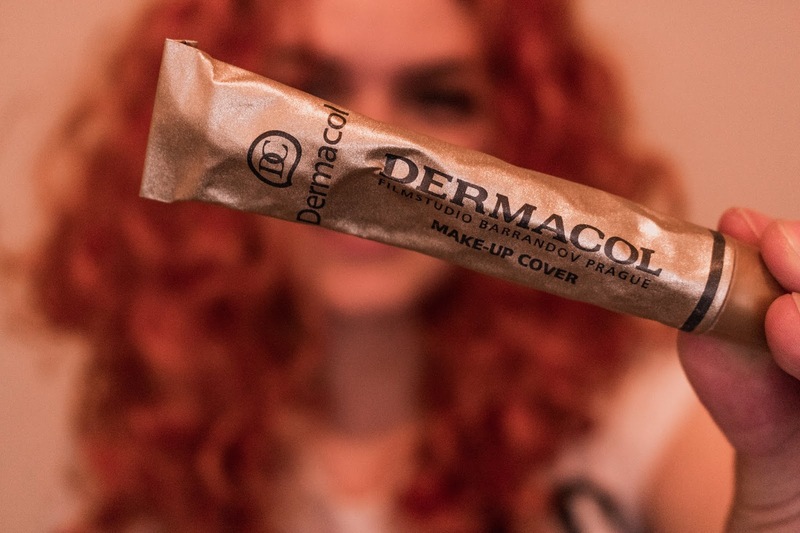 It's well known dermacol makeup cover. I use it to hide my birthmarks on my face. Even though I am not ashamed of having them, sometimes I like to see my face with no blemish at all, and dermacol helps. You only need a tiny drop of foundation and a lot of blending, and it does miracles. Shouldn't use it on your whole face, as it closes your pores and is waterproof because it might get you into having skin problems, so use it under your main foundation and only onto problematic places or places you want to hide. Also, it's SPF 30, so it will protect your skin from sunburning. Price vary from £5 to £10 for a 30g tube, but it will last you for a while. If you would like to order it, please visit a website here. If you think of getting it off eBay or any other site, please make sure it's not a fake one, because just as MAC there is a lot of counterfeit dermacol foundations for sale. My favorite hand cream? Mary Kay! I don't have a full tube yet, only a sample one, because it lasts so long that I still don't need to get a full one. It's a great product; it makes your hands feel like you're a baby again. It's not a budget product if you plan on buying a full one, because even if Mary Kay is a super quality product, they are also quite expensive. But you can always ask one of your local distributors to give you a sample tube to try it out to see if you are going to like it. It might sound like cheating, but I don't call it so. However, if you want to get a full-size tube straight away it's about £9 for an 85g tube, and it's fragrance-free, you can get it on their official website here. 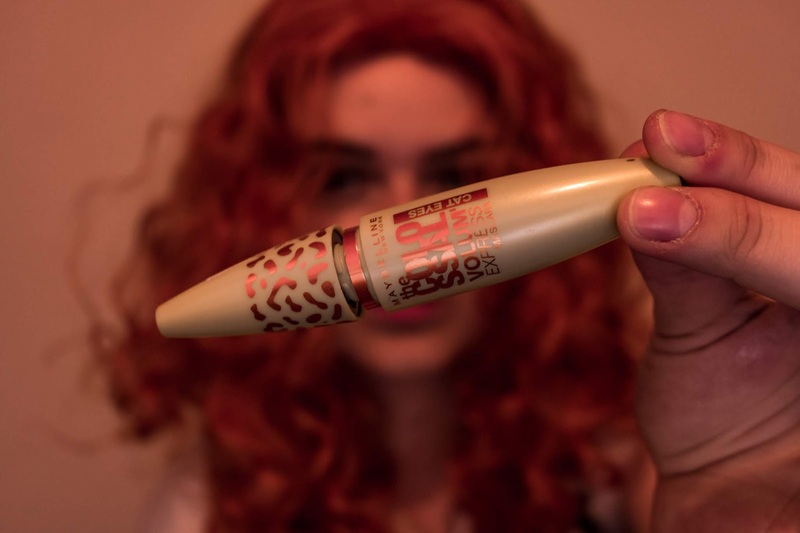 Another mascara I currently use is from essence called ''Lash Princess'' It supposed to give you fake lash effect. And it does for sure, but this mascara is horrible when it comes to taking it off with makeup removal. You may use like three wipes or more, and it's still there. It does its job as a mascara it looks beautiful, your eyelashes are long and dark, doesn't stick with each other, but be ready to work a bit to clean it off. Would I repurchase it if I knew how hard it is to clean it? Definitely. Price is only about £2.50-£3.50 either you get it in store or online. 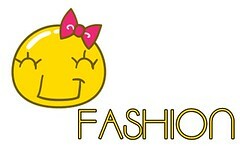 For an online shopping like please click here. My new cosmetic box find is this W7 Porefection pore minimizer. No, it doesn't make your pores go away, but it hides them so well and doesn't damage your skin. 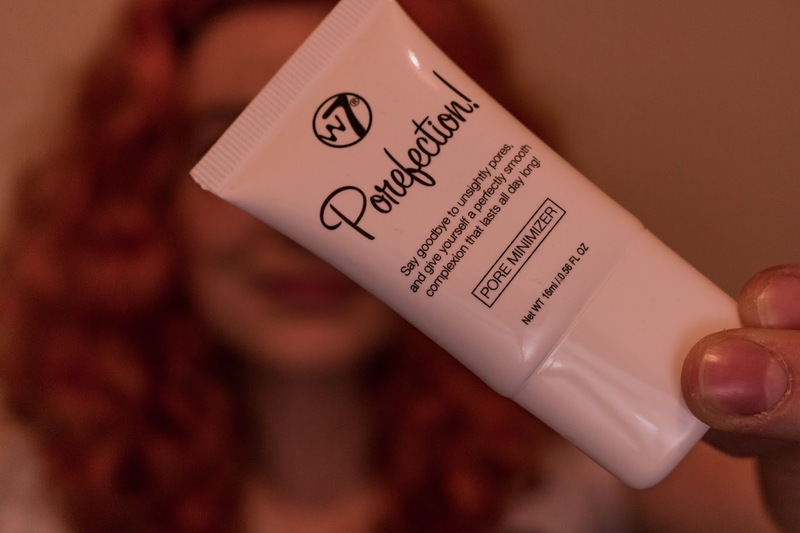 It's not like an actual foundation, it's more like some foam you rub in your face, but you got to rub it well into your skin where the pores are highly visible, or you'll not get any effect out of this product. It's a small tube, but you only need a small amount so it might end up in your cosmetic kit for a while. Seems to be the same as Benefit POREfessional at a much lower price. I got it from makeup outlets in the United Kingdom, but you can get it online for about £6. You can look for it on Ebay. The only face cream I ever used and will use forever. 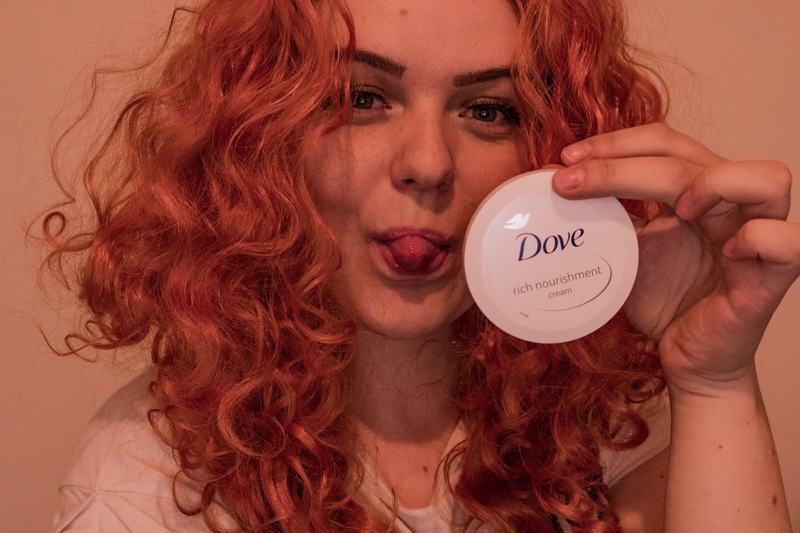 It's Dove rich nourishment cream. And I only paid £1 for this massive tube of cream which might last me for like half a year or so. 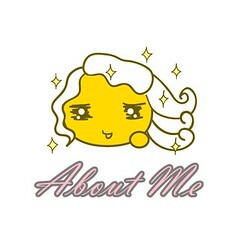 It's a great cream; I always use it after a shower, it gives my face skin a refreshment and a pleasant smell. I'd think twice of using it if you got oily skin because this cream would make it even more oily but if your skin is dry or regular, it works wonders for such a price. I've got mine in Poundland shop in the UK, but I think you can also find it in any other store, or online on eBay here. It's funny because it cost almost £10 on eBay which would be a reasonable price if I didn't know that you could get it for £1. But if talking about quality and not the price, I can say that quality of this cream is 10/10, and it will keep on staying as my number 1 cream for my face. Last, but not least. 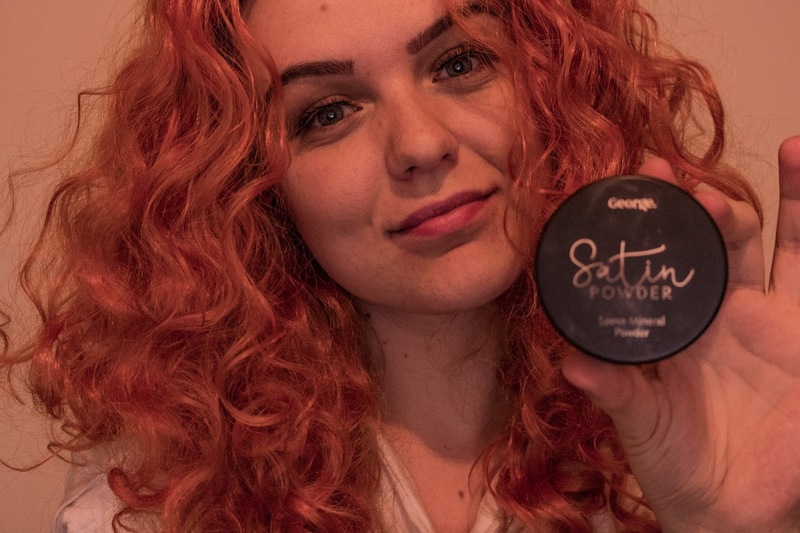 Loose mineral powder from Asdas line called George. I only use it under my eyes after applying concealer to make it look more natural and to keep my concealer in place. I've tried many different ones, and every other I tried looked awful in pictures if you use flash. It made my face look like I am some ghost but this one is barely visible in images whether you use flash or not. It's excellent coverage, easily applied and stays there for a long time whether you use fixing spray or not. And the price is only like £3 if you buy it directly from Asda store. You can also get it online, but the cost at Asda store website is £4. If you choose online buying, you can get it here. Have a good day, save money for traveling and get makeup on a budget way instead! xoxo. Quite often it is still believed that beauty is a natural gift. That belief is so wrong. Yes, we are beautiful from the birth, and every woman is beautiful inside and out, but it is essential to preserve that external beauty - to emphasize individual qualities. Grace is a combination of harmonious shapes and clothes, face and hair... A beautiful looking woman trusts herself, she is calm, and that is because she is convinced of the pleasant impression she puts on everyone around. I am writing this article while visiting my homeland Lithuania and my beloved mom's stories inspire this. And I want to share them with you today. You can agree or disagree, it‘s apparently up to you. Enjoy. "Beauty is the most influential woman's weapon. How much in this life can be won by beauty alone, few who manage to resist women's charm? Women are reaching for beauty all their lives, even though sometimes they deny it. From youth to the end of life, they strive to be attractive, because the inside and outside beauty have no limits. Each woman has its beauty secret, so being beautiful is not hard at all. As education forms a character, and education of intelligence, as well the natural need of a woman to be beautiful, is necessary to be taught for a woman to develop her aesthetic charm and taste, and to teach her how to be amazing. But be aware that the beauty of the real woman is not physical, not only that makes her attractive. The real beauty of a woman is born of the harmony of the body and spiritual beauty. All our beauty depends on ourselves. It requires knowledge and the most important - desire to achieve it. Appear attractive - far more than being beautiful since birth. This is the art which every woman must govern. What to do always to look nice? First of all, keep in mind the saying: "It's better to save than to cure." As much as possible, protect your natural beauty - the very nature of your greatest wealth. Use natural remedies provided by nature. The "Sleeping Beauty" tale tells us one of the most important natural sources of beauty - sleep and relaxation. After every rest and sleep, our beauty comes back alive. Suitably combining work with rest can make you look great for a long time without much effort. Use the natural factors to charm your body. Pure air is an essential supporting tool. Learn how to breathe correctly to get enough oxygen in the blood. 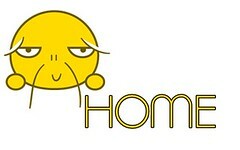 Do not forget the simple tools: daily exercise, outing, and jogging. Beneficial are air baths, but for it to be effective, footwear must be comfortable, and the clothes lose. While singing in the field, the lungs are well cleansed, and also singing calms the nervous system, one of the most critical factors in beauty. Do not forget the sun - a source of life and beauty. It is said that once the sun was looking for a pretty woman, today beautiful women are looking for the sun. But the stick has two ends - remember that the rays of the sun give health and beauty, but its unwise use can make you hurt yourself. Legends say that beauty was born out of the water. Aphrodite is out of the sea. No one can beat the water in the beauty battle; it helps a woman save her beauty or make her even more beautiful. The climate is one of the essential factors in beauty; the most beautiful women were born in the mild Mediterranean climate countries - ancient Elada and ancient Rome. Climate change - resting on the seaside or in the mountains - has a magical effect. All natural factors can be combined with physical, cultural exercises. By modest use, body harmony is achieved. It is not accidentally emphasized that beautiful skin is vital for a woman. Therefore, it needs special care. And the most important thing is cleanliness! If you want to be attractive, follow hygiene rules. Know how and when what soap to use. With age many cosmetic things are happening to us: drying skin, producing spots on our face. To prevent them – that's why skin should be looked after. Because of the defects due to biological aging - we can either hide after a sore or accept the fact that we are not getting any younger. 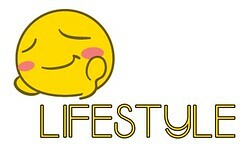 It's nice to have an excellent aesthetic taste, gain the right knowledge about body and skin hygiene and cosmetic care. It's never too late to be beautiful. " Are you creating your fate? Trying out Lip plumper from Aliexpress. Review. Why do we bully overweight people? What's so good about relationship?